Whenever we see a ship making its way through tearing the face of water in gigantic seas, do we actually realize what principle does it works on? After all it is not a car that we are talking about. Even if we don’t understand the technicalities involved in a car engine, the least we can say in order to indulge in a conversation is that a car runs by changing gears and pressing the accelerator. How do then we explain the movement of the ship in water? The engine of course is one thing that is common in a ship to a car. But the biggest and foremost difference in the movement of a ship as compared to any other road transportation is that ship runs in water unlike a car, truck, bus etc. 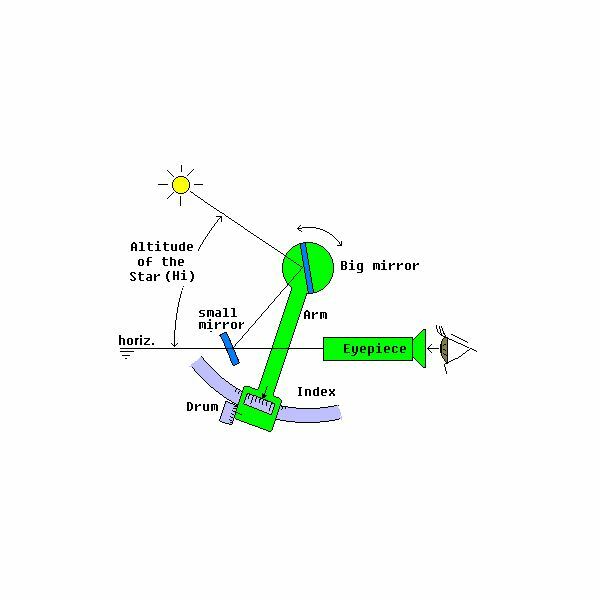 Hence there are many additional factors that influence the movement of a ship such as current, wind, tides etc. Ship handling in heavy weather is really much more difficult that handling a car in a storm. 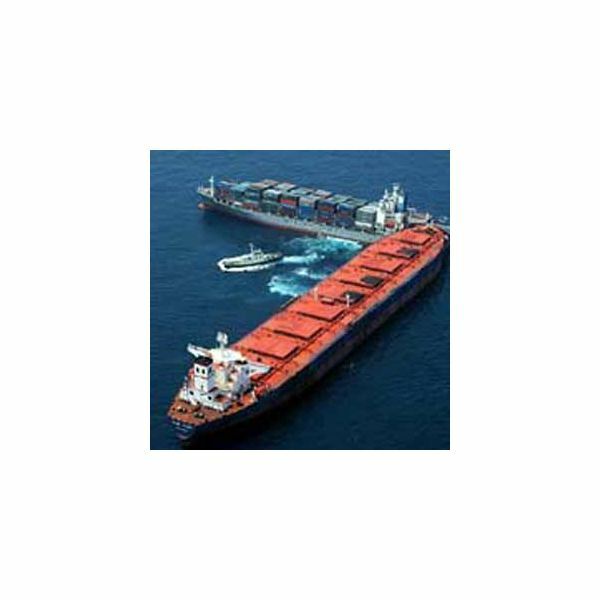 Apart from these external factors, there are some internal factors within the ship itself that influence its movement. In the new few articles it will be these internal factors which will be discussed since the external factors are usually beyond our control. For example if there is a prediction that a heavy weather is likely in an area, you cannot do much about it except perhaps try to avoid that region as far as practically possible. Before some of the technical terms are used in the explanation, it is important to know what these terms actually mean. Port side- The term used to indicate the left hand side of the ship when facing forward end of the ship. Starboard side- The term used to indicate the right hand side of the ship when facing its forward end. Draught- When a ship is in water , part of its body is submerged in water and the other part floats above water. 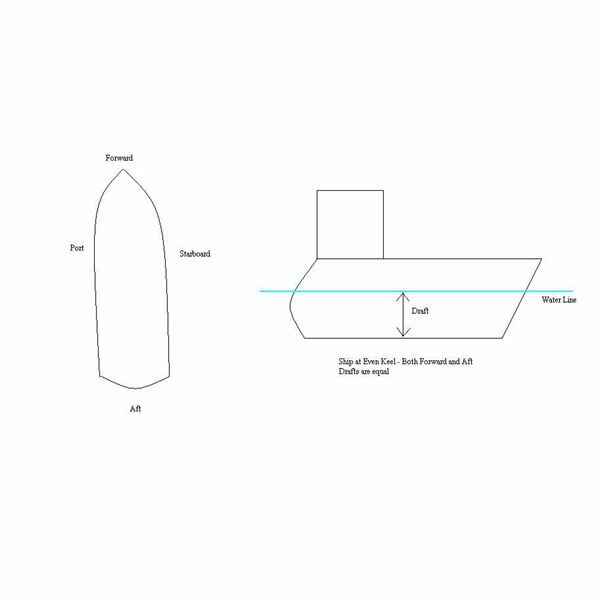 The vertical distance from waterline to the base of the ship called the keel is known as the draught of the ship. In simpler words draught is the number of meters by which ship is submerged in water. List- If the port side draught is different to the starboard side, the ship is said to be listed. Even Keel- When the forward draught of the ship is same as the after draught, the ship is said to be at even keel. Trim- If after part of the ship is submerged more as compared to the forward part, the ship is said to have a trim by stern and if the submersion at the forward part is more ship is said to have trim by head. 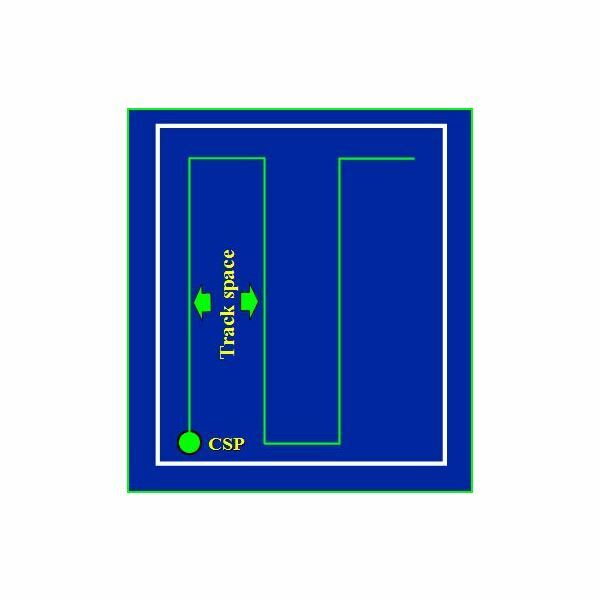 Pivot point- An imaginary point on the ship around which the ship pivots. 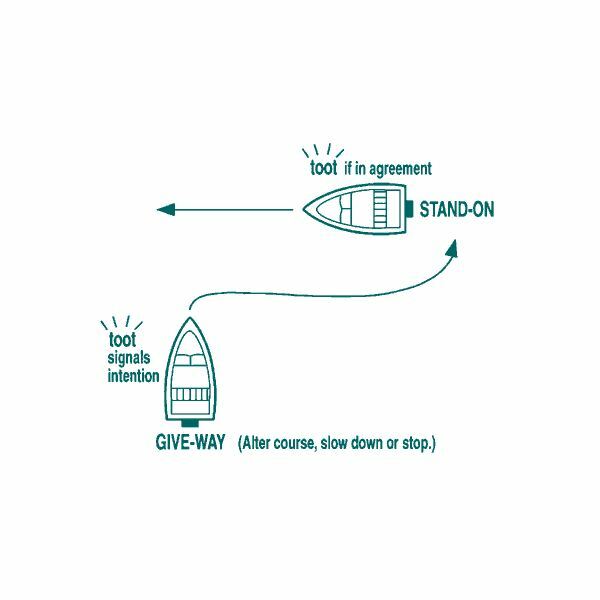 When a ship is stopped and on even keel, the pivot point is assumed to be approximately midway of the entire ship-length.